Some active sentences have double objects. 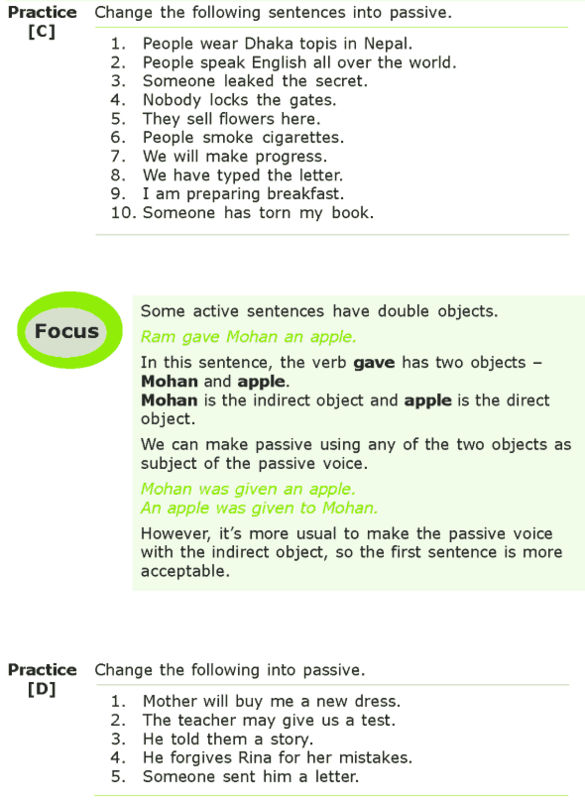 We can make passive using any of the two objects as subject of the passive voice. However, it’s more usual to make the passive voice with the indirect object, so the first sentence is more acceptable. A negative statement remains negative in the passive form as wel. However, we should take care to place the verb in the passive in agreement with the subject.